Sorry to nit pick when you maybe have already sent this to print, but in the text of corrode where it says object there is the potential for confusions due to the fact that corrode potentially interacts with equipment on a mage. If you change instances of 'object' to 'creature or conjuration' this source of confusion could be completely eliminated. Currently as the effects are applied to the target creature, there this cannot go on armor. However, I see where you're coming from and try to get that wording changed! Out of curiosity, how often will the previews be coming? Once a week? Twice a week? Check the news feed at noon today.  The card previews will be every Monday, Wednesday, and Friday. Has a release date been announced? That's what, 12 spoilers this month and up to another 14 next month? Forcemaster vs Warlord was 60 unique cards, so that's less than half the set spoiled? If so, I know mystery fans should be happier with that than Conquest! I prefer leaving some mystery. But I think the previews will give you a great idea what this set has to offer. Well they do want to sell the product and without letting people know at least some of what they will be paying money for it is difficult. It generates interest and provides information. If I want total mystery and to have no idea what I am purchasing I can ignore the spoilers. For me I like to get a taste of what I am buying. For me I like to get a taste of what I am buying. Yeah, there's a reason why companies provide spoilers and it's to generate interest, conversation, and internet traffic with the goal of converting that interest into sales. I don't get the "savor the mystery" types who lobby for cards to NOT be spoiled. If they don't want to look, then don't. Why should those of us that want to see the spoilers be denied that option because there are some who lack restraint? Shh, you'll give my game away. Barkskin - +2 upkeep, cantrip that gives +2 armor and some other effects that aren't visible. Might be regeneration. Ziggurat of Undeath - looks like the card revealed at GenCon, whenever a zombie kills something you can reanimate it. Skeletal Archer - a bony royal archer. Togorah - cant read too much on this one, its a zone card, also rooted, but 21 mana, looks like a big deal. Has another new characteristic 'uproot' and vigilent. Also has regenerate 2, a d6 attack and looks like it dazes on 7-10 and stuns 11+. May also have intercept. Grey Wraith - can teleport 1 zone instead of a move action for 1 mana. Gives a weak condition on 5+, but only a 3d6 attack. Animate Death - this is the bring back from the discard card... yeaaahh! Looks like it costs half the creatures casting cost to animate it. Can't quite see what the creature's undead life is based on.